Strike A Pose Fun Run This December 10 | JustRunLah! 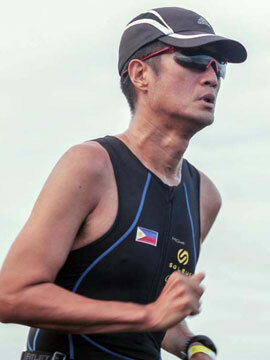 A GROUP much sought by organizers of fun runs will now have a charity fun run of their own. 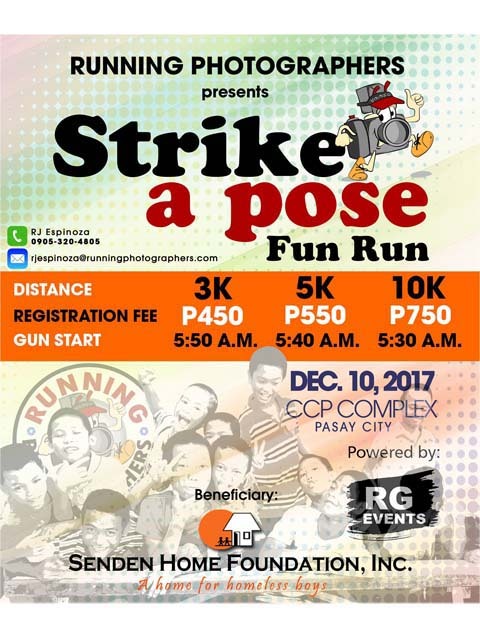 The Running Photographers will stage “Strike A Pose Fun Run” this December 10, 2017 at the Cultural Center of the Philippines starting at 5:00 AM for the benefit of the children of Senden Homes in Binangonan, Rizal. Runners will definitely have a grand time as there will be cameras all over the race route to document and immortalize their every step and stride. Distance categories will be 10, five and three kilometers. Interested parties may proceed to Toby’s Sports branches located at SM Mall of Asia, Glorietta and Trinoma plus RUNNR in Alabang Town Center to sign up starting November 9 or click HERE for online registration. Registration fees are pegged at PHP 750.00 for 10, PHP 550.00 for five and PHP 450.00 for three kilometers which includes a racing shirt and bib number. Being a charity event, no cash prizes will be awarded but podium finishers will receive gift items from generous sponsors Lightwater, Vitamin Boost, Toby’s Sports and Soleus Watches. All finishers will receive a medal upon completing the race. The fun does not end upon crossing the finish line. Everyone is eligible to win a pair of Hoka running shoes in the raffle plus there will be a photo contest and a Zumba session to be led by Team Soleus.